William Chalmers built this house as a holiday home in 1901. Austrian migrant, Mariano Vella, a farmer on Mana Island, bought the house in 1915 and named it Sokol, meaning strength, the family motto. It remains owned and occupied by Vella descendants. This house at 14 Steyne Ave is listed on the Porirua Heritage Database as a Category 2 heritage building. The main part of the house, a simple two-storied villa, dates from 1901. Curiously, the prominent bay window on the street front faces away from the sea view. It has high architectural value as an example of a style while the condition of the buildings is of scientific and technical value. In the wider setting, the house is one of an important group of old houses at this end of Plimmerton that back on to the beach and form an historic core to the area. 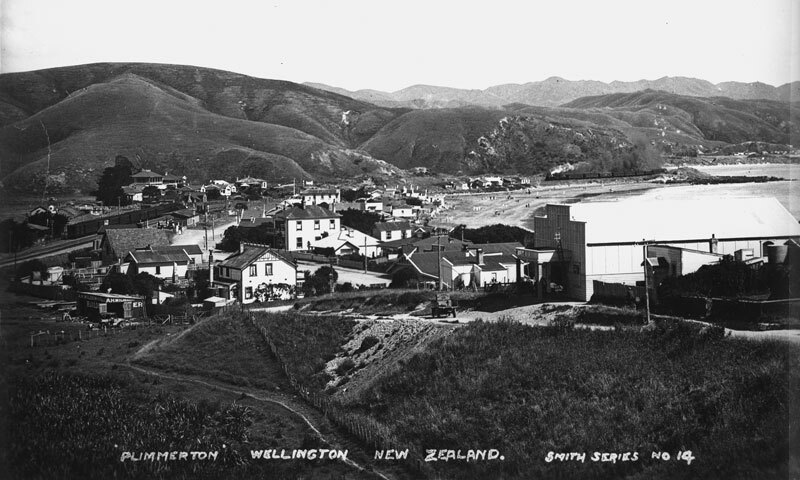 It is significant as one of the largest early houses in Plimmerton and for its location and association with the Vella family, early farmers of Mana Island and prominent in the area. Born in Croatia (then part of the Austro-Hungarian Empire), Mariano Vella arrived in New Zealand as a sailor in 1878 and lived first at Island Bay. In 1885, he came to Paremata where he was a fisherman. He married his first wife Mary, daughter of another Paremata fisherman, in 1886 and they had four children. Mary died in 1889. In 1886 Mariano Vella obtained a sub-lease for Mana Island and began to farm sheep. In 1893 his lease cost £75 and by 1922 the annual rental from the Wellington Land Board for 525 acres had increased to £197. A newspaper report described him thus: ‘Born on the Adriatic coast, almost with a tiller in his hand, he was a superb mariner.’ This was just as well because despite the island lying only three kilometres off-shore, gales often marooned the settlers and shipwrecks were not uncommon. In 1894 Mariano returned to Croatia, married Elizabeth and brought her back to New Zealand. He and his new bride survived New Zealand’s then worst maritime disaster, the wrecking of the SS Wairarapa off Great Barrier Island, with the loss of 126 lives. The couple were tossed out of their lifeboat and for eight hours survived by clinging to bits of debris. It was reported that in trying to find Elizabeth, ‘he had been feeling the heads of bodies as they floated past, trying to identify her by her hair.’ They rescued a young boy whose uncle later rewarded them with a gold nugget, which Elizabeth made into a brooch. After making land barefoot, with ragged clothes and no possessions, further disaster met the newly-weds in Wellington. The day they arrived the man who had been taking care of Mana in their absence drowned and their only boat was lost at sea. Mariano was granted naturalistion in 1896. 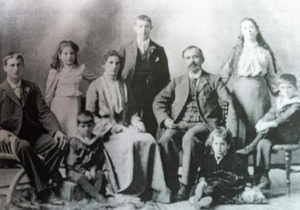 In 1909, Mariano, Elizabeth and some of the family returned to Croatia for a holiday while the two older sons, Andrew and William, were left to manage the Mana farm. On the family’s return to New Zealand in 1915, they bought the property in Steyne Ave and named it ‘Sokol’, a family motto meaning strength. At the outbreak of war in 1914, Andrew and William faced suspicion as did many foreigners. Their use of a radio transmitter was viewed, in a letter written to New Zealand’s Defence Minister as a possible “unfound wireless plant”. In November 1918, with New Zealand in the grip of Spanish influenza, Vella family members became ill. Son Jack was moved across the street to the temporary hospital in St Andrew’s Church. He was one of three men who died there within the week. When Mariano Vella died in 1929, Andrew and William continued to farm on Mana, and Andrew held the lease until his death in 1951. Although the family relinquished their interest on Mana Island in 1953 Vella descendants still continue to own and live in the Steyne Avenue property after more than 100 years. The Vella name is remembered through Vella Street in Titahi Bay.